To narrow this down, I’m sticking with YA books I’ve read in the past year. Recently I reviewed Dread Nation by Justina Ireland (review). I loved the zombie-added alternate history take by this author, and Jane, her intelligent, snarky protagonist stole my heart. Pride by Ibi Zoboi is a retelling of Pride and Prejudice, probably my favorite Jane Austen novel. The modernized version of this story intrigued me – unfortunately, I only read a 5 chapter sampler, and I’ve never been able to get back to the book. But I plan to! Children of Blood and Bone by Tomi Adeyemi has received exceptional reviews. It’s been in my TBR for a while, and I’ll be reading it for my book club in a couple of months. If I’d had been more caught up, I’m sure it would be at the top of my list. 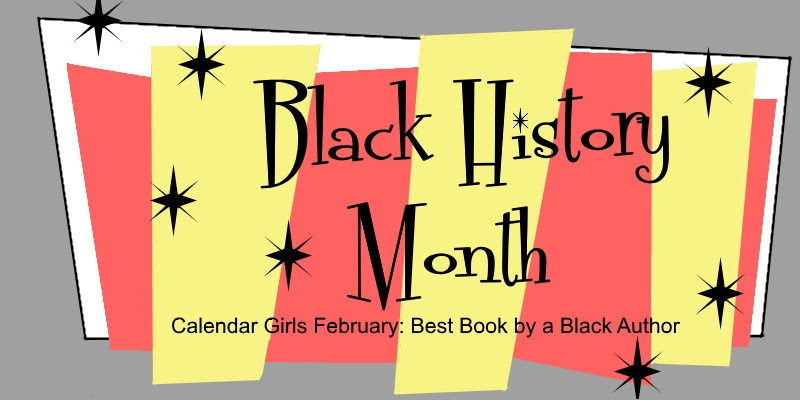 My choice will probably be a popular one, but The Hate U Give by Angie Thomas had such a profound effect on me. It’s crucial, timely, powerful, honest, uncomfortable, gut-wrenching – and should be required reading. I’m thrilled Angie Thomas will be at our local book festival in April, where I’ll be able to meet her and get a signed copy of her new book, On the Come Up. 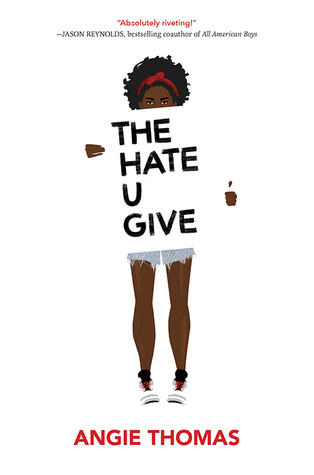 I know a couple of teenage bloggers who were required to read ‘the hate u give’ in schoo last year. her take was that if she had read the book because she’d chosen to, she’d have enjoyed it more…. I might have enjoyed Shakespeare more if I wasn’t required to read it in school, lol. Guess it goes against our nature to do ‘required reading’. It really is an outstanding book, Jina. i had the opportunity to read it a while back but it just isn’t my kind. I enjoyed fantasy, and when i step off that wagon, i want the book to either be a romance or have a romantic subplot. I haven’t read any of the books you mentioned, but they sound like a good selection. And how exciting for you to get to meet one of the authors! In high school and college, I hated reading Shakespeare, but I feel like if I could go at my own pace – and not have to write reports on it – I could better appreciate his works. I spent a whole college semester on Twelfth Night, but couldn’t even tell you the plot now. Somehow my brain has blocked every memory of it, lol! Great choice! I need to read this soon! I’ve heard great things, and I’m excited for her newest release coming out! So am I, Adrienne – and thrilled she’ll be 10 minutes from my house in April. Book Fest *sigh* – my favorite time of year. That’s awesome she’s going to be at the book festival. Did I hear The Hate U Give is being made into a movie? It was – think it came out last fall, but I haven’t seen it yet. I’m hoping it lives up to the book. I love Starr and she nearly won today Teri but I just ended Becoming Michelle Obama and …well I love her so much! I saw that on your blog, Sophie – I’ve heard good things about her book. Great choice! I was expecting several people to pick this one. Even though I didn’t pick it as my “favorite”, I think it’s probably one of the most important books I’ve ever read. I’ve been recommending it to everybody. Thanks! I figured I’d be one among many in choosing this book, but glad there’s such a variety of choices. I must read this book! Great pick! It’s an excellent read, Lucinda. The hate you give is one of those books that I want to read, but I just know I never will because of all the hype. It’s hard to dredge up the drive to read a book that you’ve read about 500 reviews in… I almost feel like I don’t HAVE to read the book anymore! Ha ha! I’ve heard that it’s really good, though! I’m occasionally let down by all the hype surrounding books, Nicole, but I promise, this one is worth all the talk. Hope you can get to it sometime! It certainly is, Diana – it makes such an impact. This does sound like a heavy read, Teri. I have to be in the right frame of mind to read a book like this. I saw another review somewhere for this book and it interested me then too. I could easily have read it in one sitting, Robbie. Dawlyn: Great choice, we absolutely love THUG. I really want to read Dread Nation! Pride was one of the first books I read this year and I loved it! Children of Blood and Bone was so good and I can’t wait for the next installment! Thanks! Dread Nation added a new twist on the zombie genre – and I’ve read plenty in that area. Hoping I can get back to Pride, and I’m really looking forward to Children of Blood and Bone.